Shortly after noon, the aerial search team located more personal items about 2000 feet southwest of the backpack. While circling those items, they also located the missing hiker’s body in a wash about 500 feet southeast of the items." 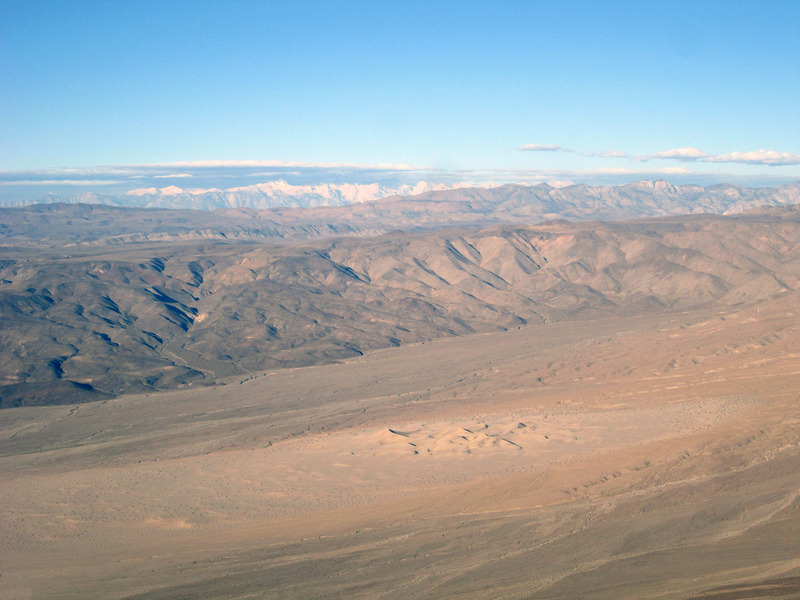 Panamint Butte is one of the few named DVNP summits still on my to-do list. But I've long thought I didn't want to climb this nasty route (up from the Big Four Mine). I too have contemplated this route and found an older YouTube capturing a successful group summiting the butte. BTW, I stuck my head into that mine, tried to walk in a bit but the air was so foul I hightailed it right back out. This was about five years ago before I started doing videos and when I hiked out and back to the Panamint Dunes. I'm jonesing to return for a redux. I poked around the canyon above the Big Four Mine back in 2006. The terrain was steep and when I climbed out of the canyon I recall the surface of the ground having extremely poor traction. I didn't even consider using that route to get to Panamint Butte. Getting up would be difficult, but the way down would be treacherous. I hate downhill as it is, but with poor traction, there's no way! View looking down canyon about three-quarters of a mile above Big Four Mine. I found it hairy enough just visiting the various mine structures in that area. In particular the Big Four Mine. While there I was looking around wondering where the route started. I thought it was close to the mine opening? Anyway, the stats alone reveal how steep that route is. I think the only route I would attempt would be via Lemoigne Canyon. I've already been out to Towne Peak twice, I'm not interested in going that way. 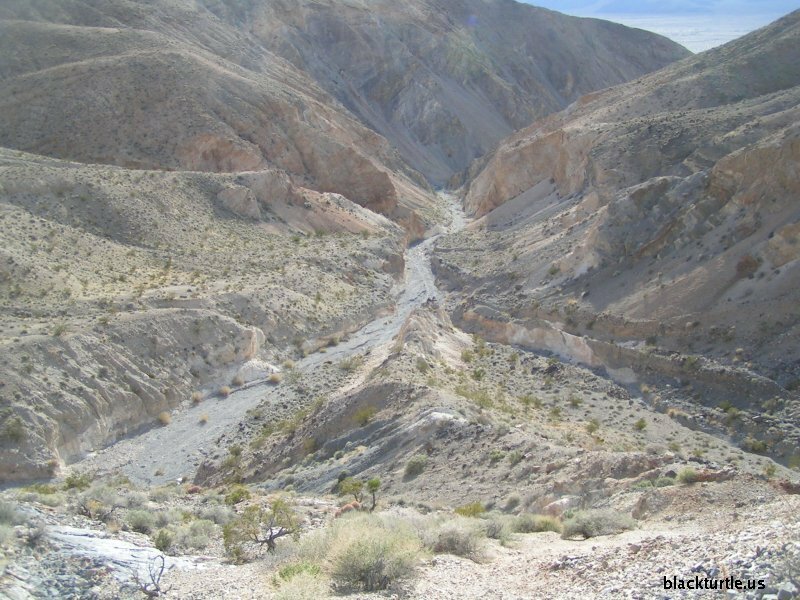 There certainly are some scenic views of the northern end of Panamint Valley if you follow the easy walk past the mine and then when things are getting tough exit up to the south to some nice easy ridge walking. But it looked pretty hairy going up that way, and I wasn't even thinking of it. The route from Towne Pass is straightforward but oh so long. I'm not expecting to get up Panamint Butte I guess. Either from Towne or up Lemoigne is just beyond my day hike range these days. Though it requires an overnight, I found the N Fk Lemoigne Canyon a very scenic route to a big j-tree head below the Butte. Or drive all the way to upper Cottonwood Trailhead and head in that way, which is the way we accessed it, descending N Fk Lemoigne the next day. Views from the top were impressive of the Dunes, valley, and all teh way to Whitney. Views from the top were impressive of the Dunes, valley, and all the way to Whitney. Thanks for sharing your lovely morning image from the butte looking west. Do you happen to have an image from the same point of view but more of a northwestern angle capturing the Panamint Dunes in the soft morning light and shadows? Or maybe of the Hunter Mountain area from the butte? sort of soft and washed out as taken with just a cheap canon point and shoot. I appreciate the interest, though, DVD! 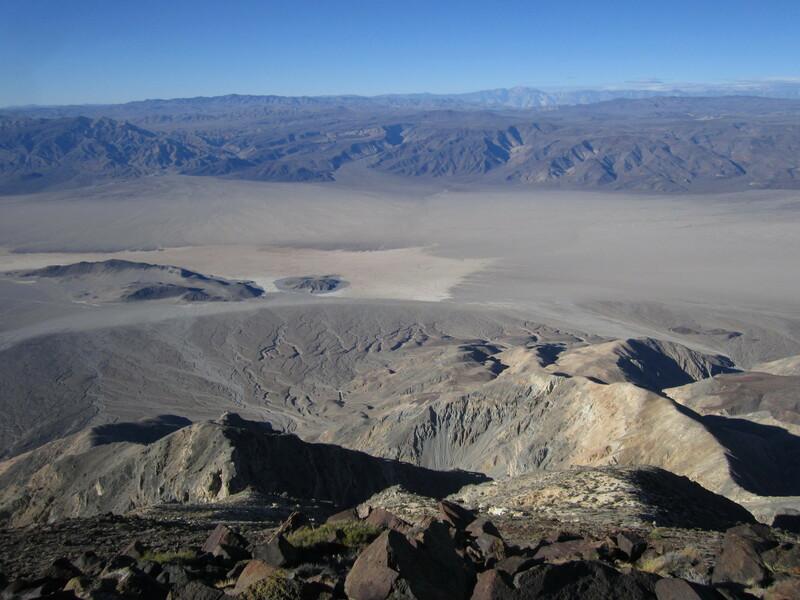 Thanks so much for taking the time to post your image of the Panamint Dunes from high atop the butte. This is just what I was hoping to see because I love to see the ridge lines of the various mountain ranges. I took the liberty of Photoshopping your image a bit to bring out the contrast and color. The Sierras, the Inyos and Lee Flat set the stage. I'm not sure if that is Cerro Gordo Peak or Mount Inyo fronting the Sierras and Mount Whitney above Lee Flat? I believe it is Cerro Gordo Peak, the smaller, conical looking mountain. I think that is right, the smaller bumps north and south with Cerro Gordo in the middle matches the topo well as them being the southern anchor of the range. 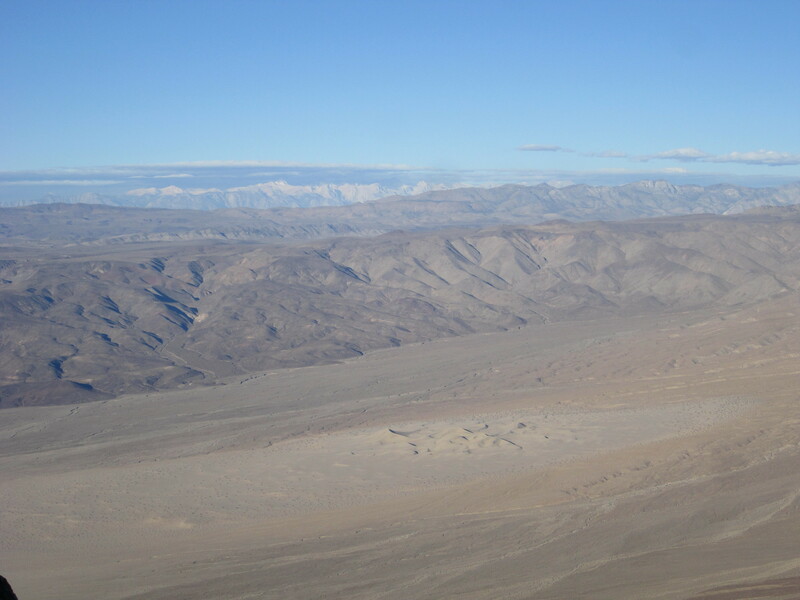 I don't know the Sierras well enough to make out shapes of the individual summits but Whitney should be visible roughly in a line over Cerro Gordo right? Whitney is in shadow and hard to see well to the left of CG, where the Inyos seem to disappear. I think that’s Mt. Williamson poking out from behind CG. In caltopo, you can use the "simulated view" option under the "measure" tab. I find this incredibly useful. Blow up the vertical scale a bit by narrowing the field of view.